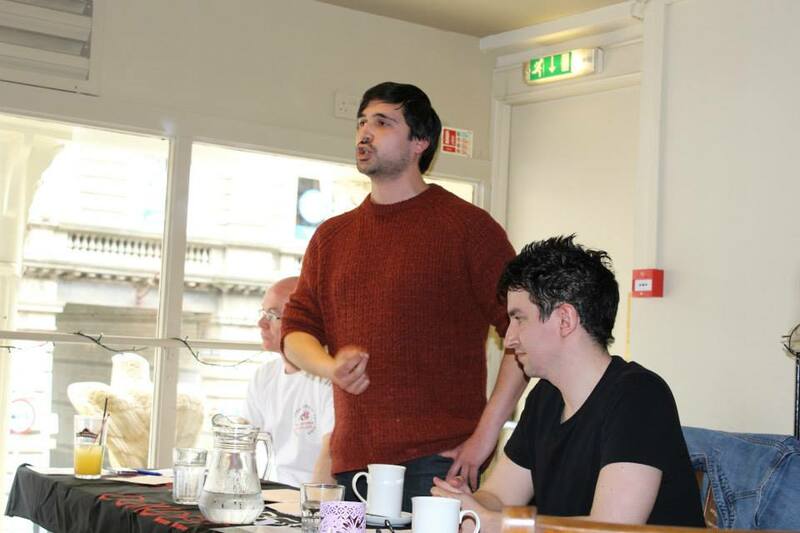 “Is there not a sense in which, through a YES vote, we will all become immigrants to the new Scotland that we will be tasked with creating?” writes Mark Crawford, precariously-employed call centre worker and campaigner with Radical Independence Dundee in his review of YES:The Radical Case for Scottish Independence by Ramand and Foley. At the outset of this review, I must emphasise that what I write here is written in a personal capacity and is just one (pro-radical, pro-YES) individual’s response to James Foley and Pete Ramand’s important new book YES: The Radical Case for Scottish Independence. I stress this otherwise obvious point because, in the second half of this review, I make some comments and suggestions which many on the radical left may find controversial or, at the very least, disagreeable. What is written here has been produced with the intention of furthering the discussion about the radical view of independence which Foley and Ramand have provided us with through the publication of their book; to do anything less would be an insult to them. Of course, I understand that the authors probably intend the word “fracture” to be read as a metaphor; but by mobilising the distinction between my two concepts of equilibrium – the materialist versus the legalistic – one can grasp the importance of thinking about these various crises as having their origins in material tensions. Fractures are produced when a clash of forces produce energy which cannot be dissipated effectively without causing physical damage somewhere along the line. By treating Britain and Scotland as a complex system of interacting forces, Foley and Ramand are then able to bring a subtlety of analysis to many recent events which might be read as symptoms of the disease to be treated. 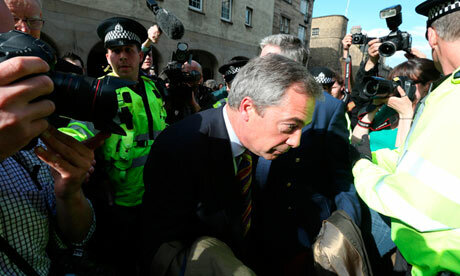 What is interesting to them about Nigel Farage’s hostile reception in Edinburgh last year is not the event itself but, rather, the baseness and stupidity of the event’s subsequent reporting in the press (even in the liberal Guardian Newspaper). Likewise, by examining the undoubtedly stupid suggestion that Scottish nationalism is anti-English in the context of race relations within contemporary Scotland, the authors of YES are able to rinse some residual stupidity off Alasdair Gray’s complaint about English “colonists” in Scotland’s arts and culture industry in order to make clear the true diagnostic value in what he was saying i.e. that it is the ease with which the English elite – in contrast to other immigrant communities – can enter these positions in Scotland that is the problem, rather than the presence of English-born individuals in the arts sector per se. Thus, when examining the claim of “anti-Englishness”, Foley and Ramand demonstrate that the critical step – dare one say, the materialist step – is to look at the context and examine the interplay of social forces. But this is not simply an important step in and of itself; it is an important step because it is precisely what the opponents of independence consistently fail to do. Of course, there may be supporters of Scottish independence whose YES vote is rooted in stupid anti-English prejudices; but, again, the materialist step is to ask: what is the size and context of this? Is anti-Englishness really a significant part of the material force which is driving the independence issue forward to the point of a referendum? A proper analysis of the issue tells us that this is not the case and that such individuals are small in number and even smaller in political significance. More pertinent is: what are the NO side getting away with, when trying to make anti-Englishness the issue? Of course, they will gain the same amount of political traction that any smear aired during a campaign period will provide. But, much more importantly, such nonsense works towards maintaining the very same tribal view of the world which they claim to be against – that is if, by tribal, we mean the worldview which takes stable social identities such as “Scottish”, “English”, “British” and so on, to exist in a fully-constituted form prior to those social forces which negotiate the relations between them. Again, this is a stupidity. Far from being eternal, stable and fully-formed, these social identities are the precarious outcome of iterations of relations between different social forces across time. The NO side are playing a game of ‘pseudo-divide and conquer’: actively mis-characterising resistance to the Union as a clash of identities rather than a symptom of a fracture which has emerged due to the existence of a series of interlocking problems, the mainstream Westminster parties are therefore using those very same identities as a blockage which prevents true examination of the problems. The purpose of a YES vote – from the radical perspective, at least – is to cut the knot of interlocking problems diagnosed and traced by Foley and Ramand; this is not division based upon abstract national identities which ‘divorce’ each other but, rather, the careful untying of a series of relations which, in their current form, have the whole of Britain held tight in the iron grip of neoliberalism. In this second half of my review, I intend to focus on this problem of, on the one hand, remaining radical enough to inspire support for independence, whilst, on the other hand, not getting “drunk on utopias.” In the book, as we shall see, closely linked to this problem is the concept of ‘emergency’ which Foley and Ramand mobilise in order to imagine the sort of atmosphere and political drive which will be required to see their proposals come into being. Where the book falters slightly, in my own personal view, is in its reproduction of a standard leftist prejudice against markets and commodification. There is a certain unfortunate baseness of thought here pitting competition against cooperation. I would not accuse the authors of having simplistic views on this but, rather, seek to suggest that the book is not big enough – and, just maybe, we can suggest that the radical independence movement itself is not big enough yet – to really address the relationship between economic competition and cooperation. But before readers of this review quickly reach the conclusion that I am speaking from the position of some sort of radical libertarianism, I must quash such notions immediately. I would describe my own political position as that of the “free-market communist” (to take the formulation put forward by Eugene Holland in his book Nomad Citizenship: Free-Market Communism and the Slow-Motion General Strike) in which, crucially, the successful operation of free-markets becomes relative to the decline in the need for people to sell their labour in order to survive. What does this have to do with Foley and Ramand’s book? 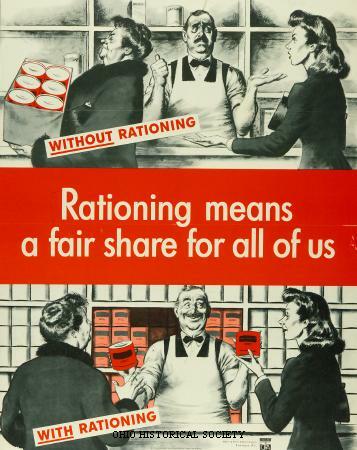 Quite simply this: the image of a national economy which reinvigorates itself through the concept of an emergency, with citizens getting enthusiastically involved (like they did, in one of Foley and Ramand’s key examples, during World War Two) is essentially a way of dodging the difficult question of wage-labour in any economy, but especially one which has radical ambitions. With the idea of a universal basic income now having such a wide base of support (from bourgeois Keynesians such as Paul Krugman to anarchists such as David Graeber) and a forthcoming referendum on the proposal in Switzerland, there really should be no need for Scottish radicals to skirt around this question. Foley and Ramand are clever enough to understand that Nordic-style social democracy by itself will not be enough to meet – let alone permanently secure – the masses’ desire for liberation in an independent Scotland. To deal with this, they reference movements against the neoliberal Washington consensus in Southern and Central America. And, of course, examples such as Cuba and Porto Alegre in Brazil are important simply because they do undermine what Mark Fisher describes as “capitalist realism” i.e. the idea that there is no way of organising economic activity other than supposedly ‘free-market’ capitalism. Here I would add, however, that there is in fact another way in which capitalist realism can be undermined, but from a completely different direction. We find the resources for this in the work of the French historian Fernand Braudel and the Mexican-American philosopher, Manuel De Landa, who have demonstrated that, far from having anything to do with free-markets, capitalism is what De Landa calls an “anti-market” in which a few big players dominate. We can get a sense of this from reflecting on how many markets in our own nation are dominated by just a handful of large corporations, whether we look at supermarkets, online book sales or television. At the same time, we can see how market competition operates well in various non-profit activities – the open source software movement, for instance. Foley and Ramand are quite correct to point out that states which reject the Washington consensus are usually quickly punished by the rest of the world. Indeed, they cite the example of Cuba (as a country whose ability to provide for its population has survived surprisingly well in the face of such unremitting international hostility) in order to address the “worst case scenario” in which a radical independent Scotland becomes subject to international isolation. But here is the importance of the point I make about free markets themselves being potentially anti-capitalist – a truly intelligent (and I will clarify in a moment what I actually mean by ‘intelligent’ here) independent Scotland could make tactical use of free markets in such a way as to wrong-foot attempts (to be led, no doubt, by the US and whatever remains of the UK after a YES vote) to portray a radicalised Scotland as an international pariah. By leaving itself open to having its own free-market rhetoric turned against it as a weapon, we may yet be able to exploit a previously unexplored vulnerability within neoliberalism. Of course, it is hardly a surprise when they tell us that the eradication of income inequality, rescuing us from environmental catastrophe and the establishment a radical democracy should be considered the true emergencies. But I think their concept of emergency recognises something more important than just the suspension of the market economy; it recognises the importance of subjectivity in any truly radical transformative political project. Emergencies stir the passions and, as people get fired-up, they get enthusiastically involved. When a nation is faced with an external enemy, as Britain was in World War Two, the emergency can result in the temporary putting aside of divisions within the nation, resulting in a super-productive harmony. Can this approach really be transferred to the question of treating income inequality as a national emergency, without resulting in – instead of a harmonious national drive towards increased productivity – a paralysing division as society goes to war with itself? As I hinted at earlier, the question of wage-labour is critical here. People who refused to pull their weight – or at least those who failed to be seen as doing so – in war-time Britain would have been subjected to substantial social stigma. In a radical independent Scotland along the lines proposed by Foley and Ramand, what will happen to those who are interested in neither wage-labour, nor helping the nation get through its state of ‘emergency’? Should we make sure that they are essentially forced to become interested through a combination of poverty and benefit sanctions? I pose this difficult question, not to make supporters of radical independence uncomfortable, nor as a slur on the long-term unemployed. No, I pose this question because I believe that it is only by thinking this problem of wage-labour through to its logical conclusion that we will find the correct modulation to the Nordic model that we would need to make a radical independent Scotland sustainable and secure. As already noted, to invoke the concept of a national emergency as the best way to lever the population into the required gearshift post-independence is to essentially recognise that radical economic and political upheavals must be accompanied by an equally radical change in subjectivity. Hence, we hear the slight ring of naïveté in Alex Salmond’s distinction between the economic and the social sides of Thatcherism. The subjectivities which haunted Thatcherism – from its early days with Harry Enfield’s swag-waving caricature Loadsamoney leering out from the TV screen, to the final period when Thatcherism underwent its Blairite consolidation and the vulgarity of the Loadsamoney caricature was sublated and transformed into the cosmopolitan, young, upwardly mobile professional whose lifestyle was profiled in dramas such as This Life – were every bit as essential to the project’s success as financial deregulation, privatisation and Right-to-Buy. But this brings us to the question (which Foley and Ramand find themselves implicitly answering with their concept of emergency): what changes in subjectivity might we propose for a radical Scotland? 1. Ignore the issue of new subjectivities altogether. This would be the ‘sober class analysis’ of so much of the Old Left which, as Foley and Ramand note, has failed to yield movements dynamic enough to breakthrough politically. 2. Transplant and impose those subjectivities implied by the Nordic or post-War Social Democratic models, regardless of what they are replacing. This would be problematically conservative, as it would require people to identify with subjectivities from an earlier period in our nation’s history. 3. Design new subjectivities from scratch in a metaphysically-idealist fashion. This would be precisely the danger of getting “drunk on utopias” that Foley and Ramand wisely warn us away from. 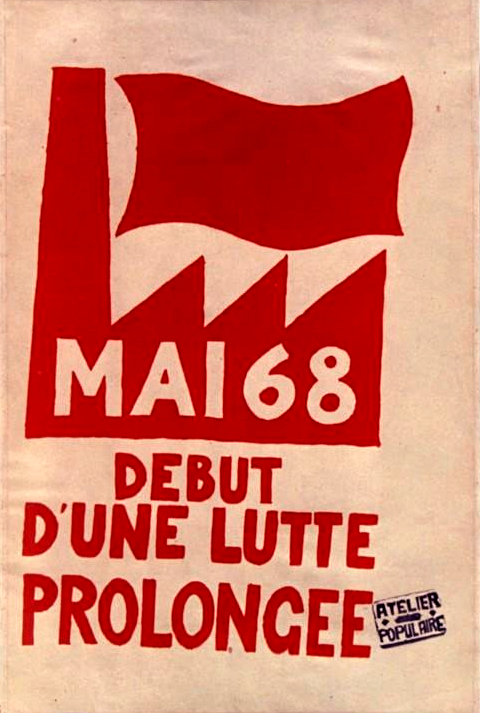 1968: the students, the Situationists and so on didn’t want what the Old Left offered (a job for life, class solidarity as struggle rather than desire and so on); by ignoring these aspects, they left the field open for neoliberalism to offer something which did respond to these subjective forces – albeit in a way which was ultimately to serve one class against another. The challenge of a post-independent Scotland, then, could be to create a state which performs this rearticulation in a democratic way, giving itself over to what I earlier described as the ‘intelligence’ of the radical independence movement (as opposed to the stupidity of British nationalism). And now I am in a position to clarify what I mean by ‘intelligence’… I would like to think of it as a movement taking place within Scotland which can somehow reconfigure subjectivities in a decentralised, grassroots form which finds solutions to problems in direct ways whereas previous efforts were hampered by over-mediation. At the moment, this problem-solving power is focused on the political, with September’s referendum firmly in sight. But there is no reason why, in an independent Scotland, the new form of collective intelligence embodied by the Radical Independence Campaign could not proceed to become the source of grassroots experimentation in economic organisation and decision-making. Given that this would, by definition, take a decentralised form, it would make sense to engage with those authors I mentioned earlier: Eugene Holland, Fernand Braudel and Manuel De Landa. This pro-market anti-capitalism – which is sometimes referred to as “accelerationism” – has recently seen the publication of its own “Accelerationist Manifesto” [i], the authors of which cite the example of Chile’s experimental use of computer modelling to make economic decisions during the Allende government as a source of inspiration which runs counter to the idea of state-directed heavy-handed planning and investment. With the ‘Big Data’ revolution taking place within information technology right now, perhaps a radical new state could, rather than simply directing or even brokering collective economic decision-making, get involved instead with aggregating data in a new form of social commons which facilitates market-based decision making. Central to all this sort of thing would, in my view, have to be a universal basic income. I am not sure if what they are proposing here is literally an open-door immigration policy. What do they mean by “talented people”, for instance? Although I do not for one moment think this is what they intended, this phrase is too close for comfort to class-based rhetoric about Britain attracting the ‘right type of immigrants.’ Besides, as I have already discussed, there is a danger in constituting a new political subjectivity on individual preparedness to labour. But, in fact, there is no need to be vague here or avoid harsh questions about what is to happen at the border of an independent radical Scotland. Instead of glossing over this by talking about attracting talent to a post-YES Scotland (which avoids the difficult question of class-based value judgements), why not turn that into an opportunity to re-imagine the border as a membrane through which one passes into a distinctly different subjective environment? Instead of immigration being a case of either privatising (or, in the case of Soviet-style communism, nationalising) one’s ambitions at the border, we should look into what techniques we can use to get the immigrant to transcend the binary distinction between nationalised and privatised ambition, breaking that distinction apart in order to release the mobile creative and transversal energies that no doubt new immigrants can bring. Perhaps in Baudrillard’s claim that “only the immigrants perhaps, as polar opposites, could become analysts too” we may find a theme which can give Scottish independence yet another radical, liberating edge. Is there not a sense in which, through a YES vote, we will all become immigrants to the new Scotland that we will be tasked with creating? As someone who has undergone Freudian psychoanalysis I can tell you that the activity of liberating yourself from the “internal foreign territory” is not necessarily served all that well by the name of emergency. Its true name is adventure. This entry was posted in Uncategorized and tagged alex salmond, James Foley, Pete Ramand, Radical Independence Campaign, Scottish Independence. Bookmark the permalink.